It is what it is...: WHO DOES THAT!!! Happy October 1st!!! 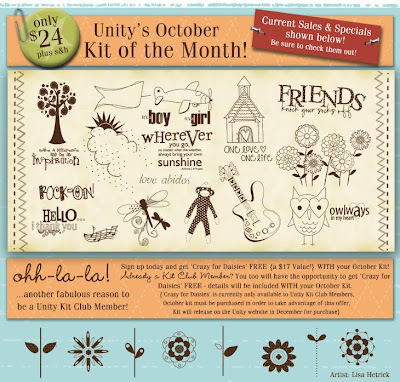 I can't even believe it's already the 1st of October...and with a new month comes a new Customer Kit of the Month at Unity!!! Lots of digital goodness on this LO!!! Sept. 09 Lots of Labels, Sept. 09 Bonus Paper Pack, Sept. 09 Bunches of Borders, Aug. 09 Paper Collection: Fresh Florals, July 09 SummerTime Elements all by CreativityByCrystal and available at JessicaSprague.com...I also used Karla Dudley's Date Stamps and elements from Michelle Underwood's Bright Smiles *free* digital kit over at 2Peas. Make sure to stop by the other DT Members blogs to see what amazing projects they have made with this new kit too! Oh Renee! What a beautiful girl in a beautiful layout! Just gorgeous! Hugs and blessings! Great layout Renee!!! You have created some awesome Digi layouts on your blog! Great layout, Renee! Can't wait to get my own October KOM! Ohhh....Renee, this is such a beautiful layout! Love that stamp!!!! I can't wait to get this kit!!! Love your LO's!! What a great layout! Love it! I thought I'd pop over to your blog, since I haven't been here in awhile. You asked when we move to our new house...we move next Saturday!! Time goes by fast! Take care! Beautiful layout...all yur layouts are gorgeous! Perfect use of the stamps...great ideas!! your layout is just too adorable! what a great layout! can't wait to receive my KOM! such a simple layout, but Oh so fabulous!!!! very cute work, Renee'. Renee, I LUV hybrid LO's and yours is simply fabulous! TFS! Great LO. Love the way you used the sentiment. Wow, what a precious page. LOVE it!!! I love this LO!!! Especially with the digital aspect!!! That is one beautiful layout. I love it. Gorgeous - What a great layout! Very cute LO!!! Love those stamps and what you did with them! I'm looking forward to my kit! It came out great. Love this months kit. 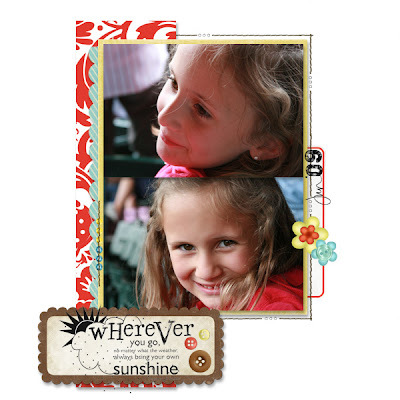 Cute layout and great blog! What a great page. Very pretty! Renee this digital layout is incredible! :) You did such a fab job! I love it! Very pretty layout of a very pretty girl!! adorable layout and I just love that cloud stamp! I love your simple layout! That is my favorite senitiment in this month's kit! That top pic looks just like you! :) This is super sweet! One of these days, I am gonna try digital. I love your pages!! Such a pretty girl. Love the layout and the way you used the stamp. What a great LO! That stamp is perfect for it. I love this layout. Did you do the tag digitally that has the sun/cloud sentiment in it... if so you are too good. If only I had that sort of patience. Beautiful. I just think you picture of your little girl and layout cute too thanks for happy smile! Your LO is just awesome. ! What a cutie :) Great layout!! Awww, what an adorable layout! Love it! Oh I love this! Super layout...love the hybrid layout! (or is it all digital? )...Camryn is so stinkin' sweet! What an amazing job incorporating this stamp with the digital. Very sweet scrapbook page - lovin' the new October KOM!